Nobel Peace winner Kailash Satyarthi feels that ‘Make in India’ will be a disaster if the government won’t strict child labour law. In a letter to the Prime Minister, Satyarthi has said, “If investors are coming from foreign countries to manufacture in India and if your laws are so weak in child labour in comparison to international standards then it will become a big disaster”. The government is talking about ‘Clean India’, ‘Make in India’ and ‘Digital India’ but, on the other hand, children are being employed in tea shops, restaurants and hazardous industries. His current concern is the Child Labour Prohibition and Regulation Amendment Bill where the list of prohibited occupations for children has been reduced to only three from the earlier 83. The proposed amendment also allows children of any age to work in family enterprises or house-based industries. 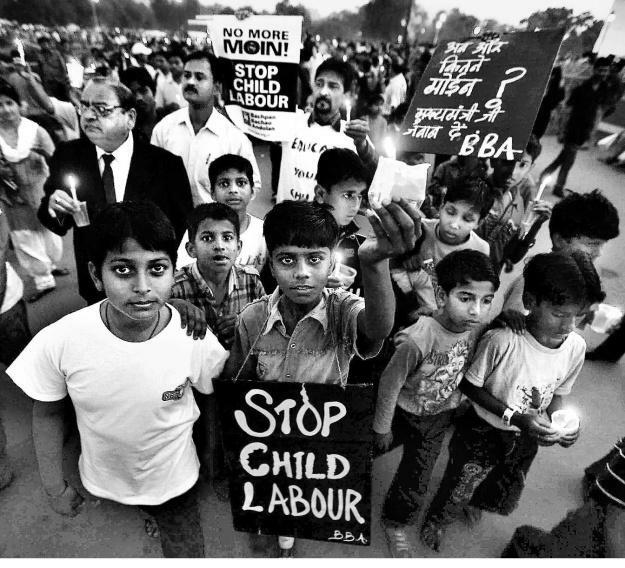 Child labour is a form of modern-day slavery, kids are preferred because it is cheap to hire them. Children are future of our nation. Instead of wasting their childhood in labour, a nation can educate them. We appreciate voice raised by Kailash Satyarthi.